Even with solid planning, content marketing efforts frequently veer off course because stakeholders can’t stay on schedule. 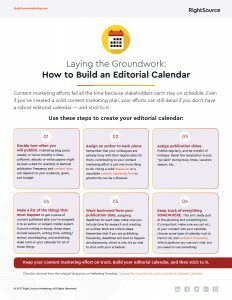 Keep your team on track by creating a robust editorial calendar and managing to it. Use our checklist to help build one today.